Imagine spending about a dollar a day and just a few minutes a month for serious impact on your Health and Fitness business income. Running your Health and Fitness business is hard enough. Let us help with your email marketing. Start your free trial of Content Corner and you'll also get an email marketing consultation (by phone or text) and our 7-Day Email Marketing Made Easy course! 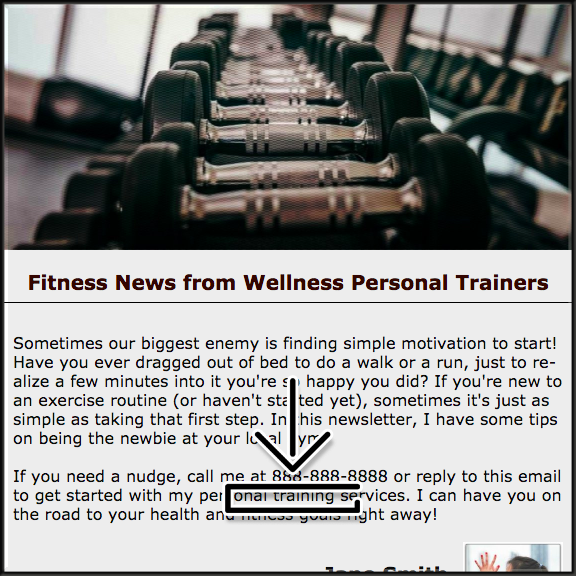 What's included in your free Fitness Email Marketing Essentials kit?